M B Feeney FB Page 1k 'likes' Mega Giveaway & Free Download!!! To celebrate M B Feeney reaching the huge milestone of 1000 'likes' on her Facebook page, for the next 7 days, a wonderful group of authors, graphic artists and promoters are running a Mega Giveaway to mark the occasion. 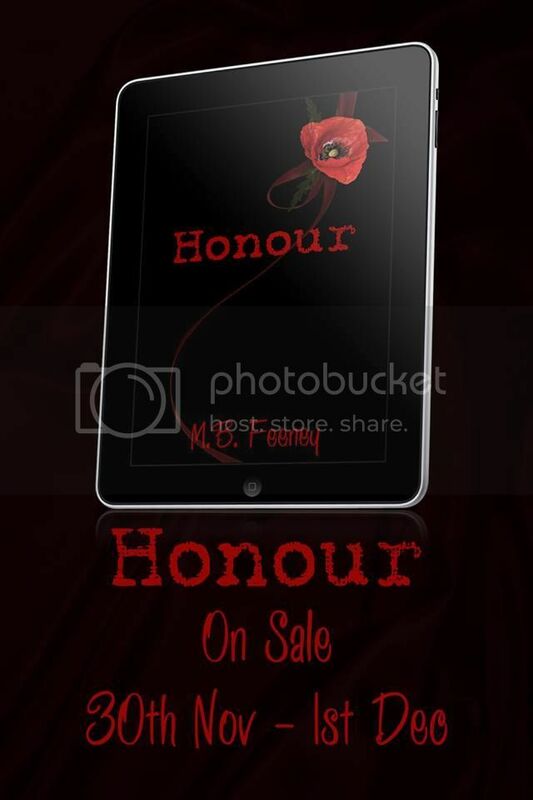 For the next 2 days, (30th November-1st December 2013), M B's latest release, Honour, will also be available to download for free! !